Holi festival brings people united together with colors and water and the vibrancy of colors brings a lot of positive in everyone lives. Holi is one of my favorite festivals celebrated in the world, every year I celebrated Holi festival with my friends by playing with colors but this time I decided to celebrate Holi festival with my friends in a another way. This time we decided to go on a 2 day trip during the Holi festival. 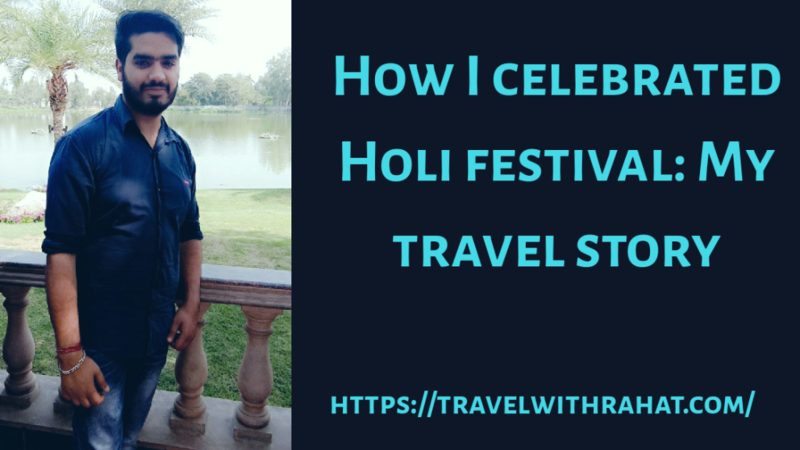 Since, traveling is my passion so its even amazing way to celebrate Holi festival. We started finalizing places to go on a trip and at the end we came up with two places one is sufi paradise Dera Baba Murad Shah Ji at Nakodar in Jalandhar city in the state of Punjab and the another place we finalize is Amritsar city in the state of Punjab. 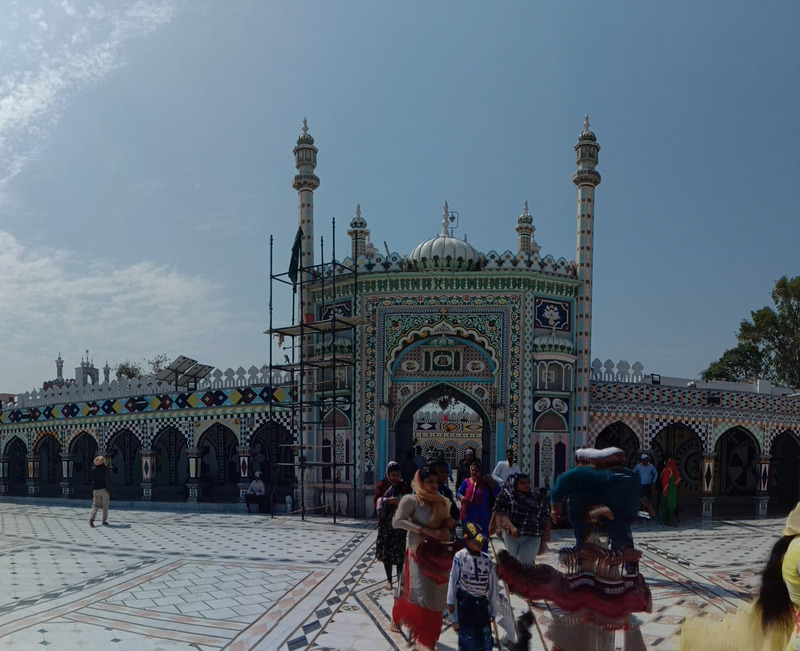 The most amazing thingh about this trip is we decided to go on a road trip from Jammu city to Dera Baba Murad Shah Ji Dargah at Nakodar in Jalandhar city from Jalandhar to Amritsar city and back to Jammu city. Though this Holi trip was so special to me as we decided to celebrate Holi festival by seeking blessings from Golden temple and also to celebrated with Indian Army on 21 st march at Wagah Border at Amritsar. We are a group of 5 friends decide to start our trip on 20 March to visit sufi paradise Dera Baba Murad Shah Ji at Nakodar. We started our road trip from early morning 6 am just to avoid traffic. On the way to Dera Baba Murad Shah Ji we took a tea stop at Thandi Khui just 24 kms away from jammu towards the Punjab. This shop is very famous for its khoya barfi and other products like tea serve with matthi(Indian snack which is served with tea). After 20 minutes we statrted our drive again towards our finalize places. After 45 minutes we took another stop at Lakhanpur which is 100 kms away from Jammu city. A stop for everyone who travel from Jammu to Pathankot in Punjab by road. At lakhanpur we took stop for famous street food Lakhanpur Ladoo and Bread toast which are so tasty. Again we started our drive towards our 1st destination and continue our drive to about 1 hour 30 minutes we were hungry by the time and we took stop at Dasua, a town between Pathankot and Jalandhar. On the highway after paying the road toll their you see Subway, Cafe Coffee day and Mcdonald’s just next to petrol station. Since subway is not yet opened in Jammu & kashmir so we took breakfast stop at subway. Everyone ordered their meal, I ordered my favorite Paneer Tikka Sub. After our breakfast about 10 am we started our drive again to Jalandhar. We reached Jalandhar at 12 pm and from Jalandhar Dera Baba Murad Shah Ji at Nakodar is 22 km away. So we reached our 1st destination Dera Baba Murad Shah Ji at Nakodar by 1 pm. Dera Baba Murad Shah Ji is a peaceful Sufi paradise. The tomb of Dera Baba Murad Shah Ji is built in a Muslim structural way and is a symbol of love and peace where people from all different castes and religions come and pay their respects at this Darbar. The dargah of Baba Murad Shah ji after the death of Sai Laddi Shah Ji was offered to the famous Punjabi singer, Mr. Gurdas Maan Ji who has remained as a sewadaar. Thursdays are the most crowded day to visit this place. The atmosphere of this Sufi paradise from front and backside is very amazing and peaceful. After seeking a blessings from here we continue our trip to Amritsar which is 114 kms away from Nakodar. During our journey to Amritsar we pass by Wonderland Amusement Park on the route between Jalandhar and Nakodar. All of my friends agreed to visit Wonderland Amusement Park which is totally an adventure-filled journey where you won’t have even a single dull moment. Whether you are here with your family or friends, you are sure to have an exhilarating experience and create some ever-lasting memories to cherish. Here are two parks amusement park and water park we took a entry to both parks by paying Rs 950 for both parks. Firstly we visit water park where we took enjoyed wave pool and rain dance and in amusement park we did boating at Boat club, Break Dance ride, Bumper Cars ride, etc.. Apart from these there are various food courts as well and souvenir shop for shopping. After having great time at Wonderland Amusement Park we visit Jalandhar’s most crowded and popular market Model Town where we drink Fruit Beer (non alcoholic drink) from Zig Zag ice cream shop and we eat Batata Puri a famous street food in Model Town market. About 7:30 pm we started our drive from Jalandhar to Amritsar which is about 90 kms and about 9:45 pm we reached Amritsar. The entry gate of Amritsar looks very amazing at night. We park our car at car parking and book our room for accommodation for rest. On the next day we visit Golden Temple about 9 am and since it was a Holi festival and a holiday so it was very crowded which almost took 3 hrs for us to seek blessings. During this we were very hungry so we tried Amritsar famous dish Amritsari Kulcha with Choley to eat in breakfast. By 1 pm we explore market outside the Golden temple which is very amazing. The whole area of the market is completely changed from the last time I visit. Since their was so much crowd at Golden Temple we can’t visit all the places in Amritsar because the best place in Amritsar after Golden temple is yet to be visited which is Wagah border. Wagah border is 30 kms away from the Amritsar where lowering of the flags ceremony takes place at the Attari-Wagah border is a daily military practice that the security forces of India (Border Security Force, BSF) and Pakistan (Pakistan Rangers) have jointly followed since 1959. This ceremony takes place every evening immediately before sunset at the Wagah border. The ceremony starts with a blustering parade by the soldiers from both sides, and ends up in the perfectly coordinated lowering of the two nations’ flags which is known as Beating Retreat border ceremony on the international level which starts at 5 pm but here is a suggestion if you want to experience this from near then do visit by 3 pm and get your nearest seats to experience the ceremony . If you want to celebrate Holi festival with Indian Army then Wagah Border is surely the best place. The scenes at the wagah border was incredible and will definitely gave you an goosebumps and make you feel proud to be Indian. It was around 5:45 pm when this ceremony is completed. then we explore the local market at Lawrence road, Amritsar which is known for Aam Papad. By 8:30 pm we started our drive from Amritsar back to Jammu city. We reached 11:30 pm to Jammu city and this is how my trip went. In the end, I hope you like my blog and like my travel story.